Every player of GOQii is a new story with a new experience. Today we bring you the story of a not so fit housewife and entrepreneur to a fit housewife and entrepreneur now. 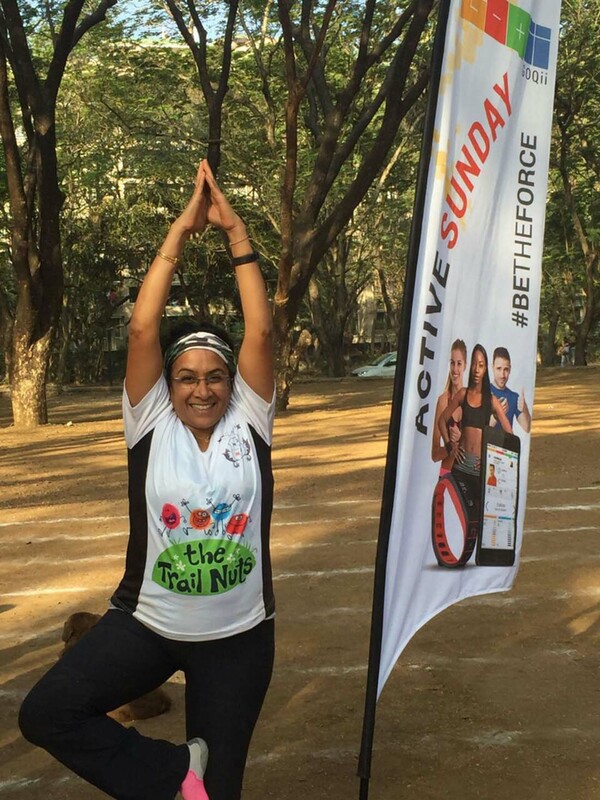 She credits GOQii Coach for bringing about the positive lifestyle change in her and getting her on a health trail. Here is Ruchi Sandhu’s story in her own words. I have never been a fitness freak and I was on the heavier side. I was conscious about my weight gain and had gained weight over a long period of time. 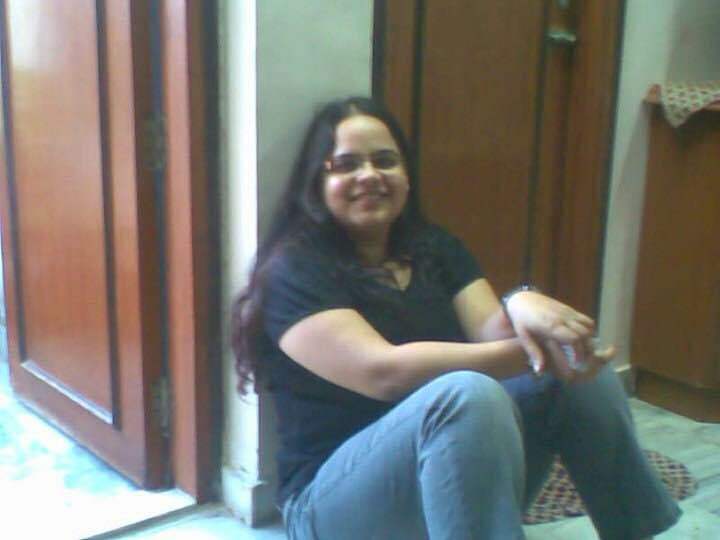 I was neither paying any attention towards my weight gain nor was I trying to reduce it. I also did not bring about any change in my diet. To sum it up I was just not paying too much attention to my health and overall well-being. Then, during my regular check with my doctor, she suggested I do an Insulin test. In that test, it was revealed that I was Insulin resistant and, therefore, my sugar levels were down. I was on medication to control my insulin levels but the doctor suggested that only medication is not going to improve the situation. I was asked to get active and also bring about changes in my diet. These were the only ways to bring down the insulin levels to the required levels I was told. Soon after the doctor’s advice, I joined the gym and then my husband’s friend suggested that he has got a GOQii band and that I must try it too. I said ok and got the GOQii band and got associated with my personal coach Disti Shah. Believe me, when I say this that I have never been happier with myself. 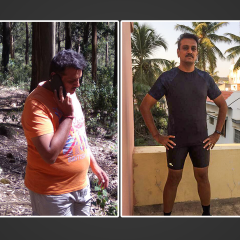 My main health goal when I started on GOQii was to reduce my weight and with that, the Insulin levels would also come down. I worked along with my coach towards achieving this goal. Disti helped me make small changes such as what I eat when I eat, how much I eat etc. She disciplined me in my eating habits. I am very conscious now of what I eat, how much I eat. It has been a wonderful experience for me in the last one year or so ever since I got GOQii as my insulin levels have come down. I am more disciplined now with regard to eating. I used to have a very sweet tooth and my coach put me on a sugar-free challenge. The first time I failed miserably. But, my coach did not give up. After a few days, she once again out me on a sugar-free challenge. And the second time around I was able to resist myself off sugar. Whenever I get a sweet craving I replace it with dates. I have also controlled my midnight cravings for sweets. .
Off late I have not been able to work out so much as I am on some medication and my gynecologist has asked me to do strenuous workouts. But, my health goal remains the same. I want to lose some more weight. Disti has been largely helping me with my healthy eating habits and has also given me some home workout options. I am trying to do whatever I am able to do. 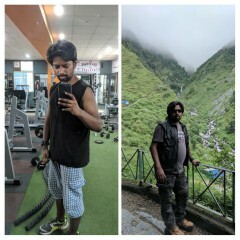 The one thing I have realized with GOQii is that it is not about losing weight but, it is the way you look at things and how you do it. For me personally, it has been a positive lifestyle change. I am a kind of person who does not like to take advice from anyone but Disti has been able to break that has changed my perspective and outlook towards life. I am a better off now than I ever was. I thoroughly enjoy the personal attention I get from my coach. The best part of all these changes is that my husband is very happy with me for having taken all the efforts and watching it pay off for me. What does Coach Disti Shah have to say about Ruchi? As a coach my dream to get a player who follows your guidance and suggestions. 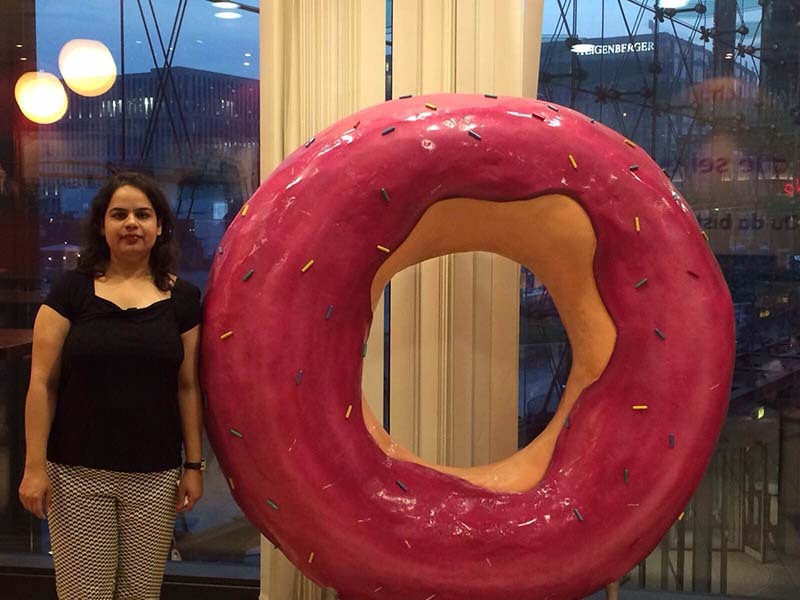 Ruchi is one of those few people who has really taken the GOQii journey seriously and made sure to reach her targets. The dedication and self-determination of Ruchi towards her target, got me also excited to work with her. The two of us never had a coach and player relationship, it was more a friendly chat and discussion that we used to have. 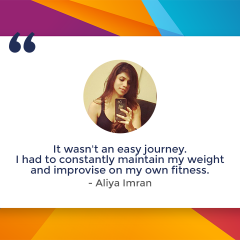 Her health goal was to decrease fat percentage and insulin resistance, which she achieved by sheer dedication towards diet and exercise. This is just a beginning of a long journey and she really defined the journey well by saying: “It’s the journey that matters and not the destination”. Insulin level dropped from 48 to 21. More focus on fruits and salads. Increased protein intake, by making sure, each major meal has the protein source. One week of No Sugar challenge was completed and thus continuing to reduce sugar intake further. Updating logs at regular intervals even when traveling abroad.